My last blog post was about a movie franchise (the James Bond film series). 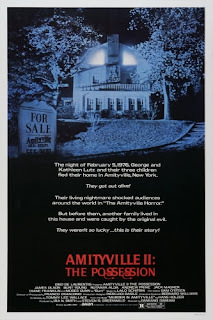 So, in this entry, to continue with the theme of movie franchises, I’m going to cover a movie that was part of another franchise: Amityville II: The Possession. 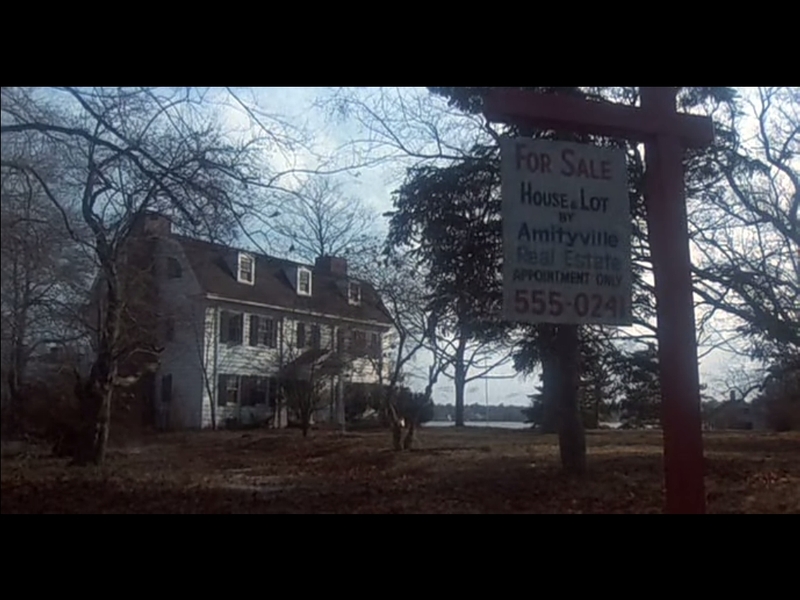 The 1977 book The Amityville Horror: A True Story (written by Jay Anson) was based upon the aftermath of a 1974 multiple homicide that took place in a Colonial-style house situated within a neighborhood known as Amityville, which is located in Long Island, New York. A young man by the name of Ronald DeFeo, Jr. murdered six members of his family in that house. The following year, a man named George Lutz moved into the house with his family, but that would turn out to be a short-lived stay. After only 28 days, the Lutz family decided to move out. The reason they chose to abandon the house was that they claimed to have experienced paranormal activity during the time that they lived in the house. 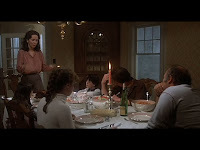 The original Amityville movie (from 1979) was based on Anson’s book, and it focused on the paranormal experiences of the Lutz family. 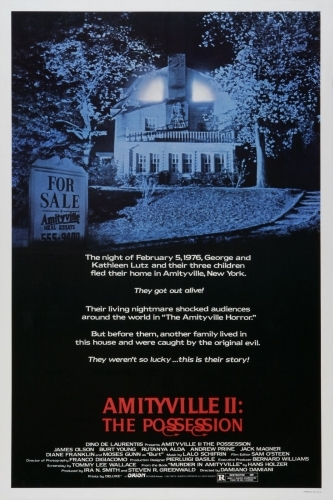 In contrast, Amityville II, despite being the second Amityville movie is actually a prequel of sorts. 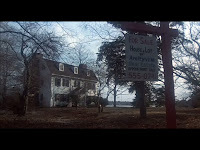 This movie was based on a different book titled Murder in Amityville, written by Hans Holzer in 1979. Holzer’s book delves with what caused DeFeo to murder his family -- specifically demonic possession. So, the movie showcases the murderer’s demonic possession, hence the words “The Possession” as part of the title. However, for the movie, the DeFeo surname was changed to Montelli. The plot primarily revolves around the Montelli’s elder son named Sonny who becomes possessed by a demonic entity one night while his family is out and he happens to be home alone. As a result of the possession, Sonny’s personality becomes drastically altered in the weeks that follow. 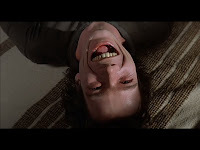 One of the shocking effects of the possession is that Sonny decides to engage in an incestuous relationship with one of his sisters. 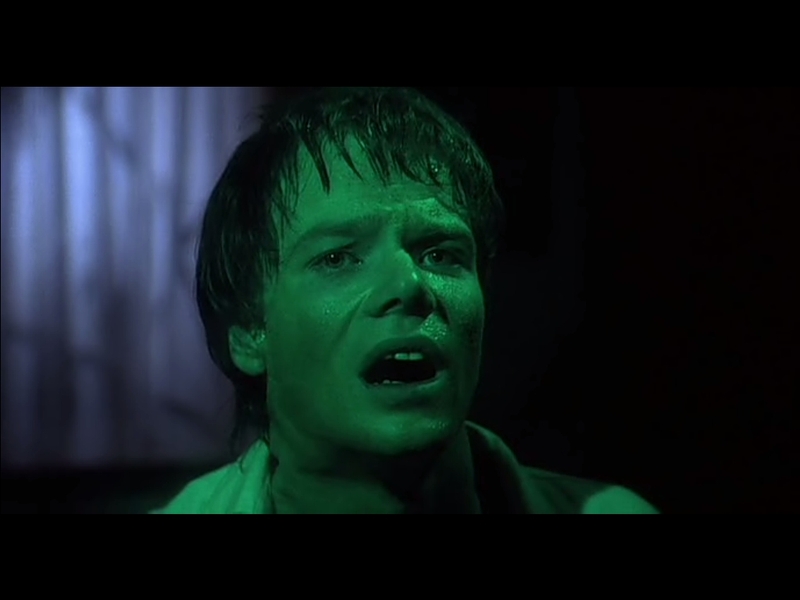 And after some time, the entity that has possessed his body orders him to kill his family. After the murders, Sonny -- seemingly unaware of what took place -- winds up in jail. 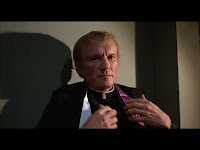 A priest who had unsuccessfully tried to bless the house shortly after the Montellis moved in decides to go visit Sonny in jail and thus determines that Sonny is possessed by a demonic entity. In the denouement, an exorcism takes place, with an unforeseen outcome and a mysterious ending. 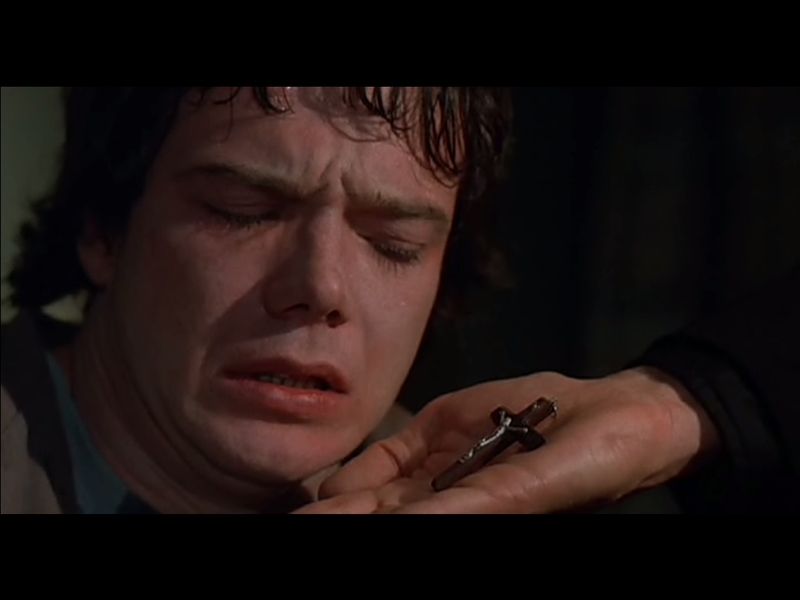 This movie very obviously “drew inspiration” from The Exorcist. 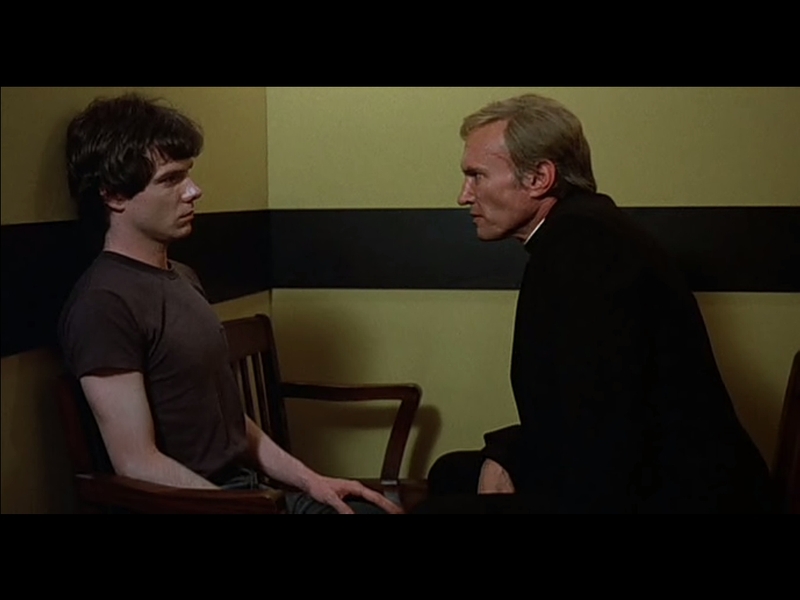 In fact, some of the scenes in this movie seemed almost like direct copies of some of the scenes from The Exorcist -- particularly the scene in which the priest performs the exorcism on Sonny, as well as a scene in which the words “Save Me” magically appear on Sonny’s forearm. And overall, this movie as a prequel falls flat in comparison to the original Amityville movie. Though, I can admit that some of the scenes are genuinely scary and creepy. Nonetheless, this is an awful movie with no famous actors other than Burt Young who plays Sonny’s father. But, the movie deserves a mention here, as it was one of the many movies that I saw as a child in the 80s.